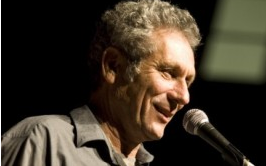 Yehuda Eder is the initiating founder of Rimon School, who currently serves and inspires daily as the Rimon President and Director of the Songwriting & Music Production department. A versatile guitar player, Yehuda is considered one of Israel’s founding rock musicians. Since graduating from the esteemed Berklee College of Music in 1980, he has served as a member of the Israeli rock groups Tamuz and Doda. 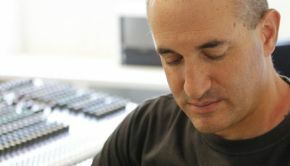 Over the years, he has collaborated with famous Israeli musicians, including Meir Ariel, Shlomo Artzi, and David Broza, as a musical producer, artistic advisor, and all in between. In 2007, Yehuda released his first solo album, Dear Mr. Grossbard, in collaboration with Harry Lipshitz and Eyiton Gidron. He is among the founders of Beit Hamouzot, a high school in Jaffa for at-risk teens with a focus on art and therapy. Yehuda is married to actress Miki Kam and is also a proud father and grandfather to his boys. Moshe Sinai began his path as a military officer in 1994, when he was appointed the delegate of the I.D.F and the Ministry of Defense to the ministry of foreign affairs, and continued on to “state government” work, as a top strategic analyst for Israel’s foreign ministry in the field of peace negotiations between Israel and Arab states and counter terrorism. Later, he became a professor in the field of decision making at the Hebrew University of Jerusalem. In 2003, he was elected Mayor of Rosh Ha’ayin, revolutionizing the town, translating his open and creative approach to security and strategy to the local community. Sinai took the lead in the areas of guidance, foreign affairs, and strategy as the chairman of these important committees of the Israeli Union Local Authorities National Organization (U.L.A.I. 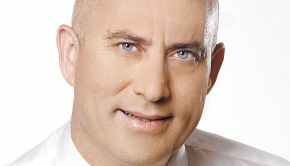 ), the unifying body of all local government authorities in Israel. He has received national awards in education and culture for creative changes that he spearheaded in his town and state. In 2012 Moshe Sinai was elected as the vice chairman of the – ICCN,Intercity Intangible Cultural Cooperation Network – promoting international cooperation with 40 cities all over the worldand 20 international bodies concerning cultural issues, including UNESCO. The organization’s center is in South Korea. In 2013, Sinai published the book “the Music of Leadership – Creative Management for Urban Change” – which presents a challenging and thought-provoking account of a leader’s impact on lives of inhabitants, through culture and music. Izhar Schejter, Assistant Managing Director, joined Rimon School of Music In 2007, after many years experience in the US, including higher education in music at Berklee followed by professional employment in both academia and in the music product industry. Schejter served in variety of academic advising roles and technology planning including teaching ensemble, harmony, ear-training, history of jazz music, and acoustics courses. His main contributions to Rimon are developing emphasis on current technology and music production through curriculum implementation. Staying connected and forming partnerships is what Schejter encourages at Rimon; “through them we can have global influence on music”. Izhar has been key in his efforts to make the Berklee – Rimon a valuable relationship.Izhar oversees and directsthe different facets of the partnership with the Berklee College of Music in Boston at Rimon. His main goal among many responsibilities is to forge new partnerships and relationships for the school on a globally. With the growing partnerships both in Israel and abroad he envisions the school continuing to expand its reach, both to graduating students and to prospective students coming to study at Rimon from abroad. 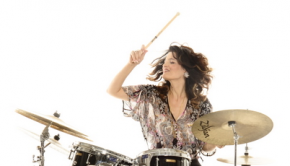 Berklee College of Music graduate, Iris Portugaly is a jazz singer and drummer. She performed in festivals in Israel and abroad and has sung with the prestigious Israel Philharmonic Orchestra. She sang with the Tel Aviv Jazz Big Band and with the best jazz musicians in Israel. Portugaly co- leads the Gospel Jazz Choir with her husband, jazz pianist Ofer Portugaly. Her work with the choir has received the highest critical and popular acclaim and was performed over 150 times throughout Israel. Iris and Ofer have also released 6 CD’s. She teaches voice, rhythmic ear training and jazz improvisation.